With lots of passion and enthusiasm I decided to take a break and go on leave to my beautiful home country Nepal with basic motive to set out for tour. Time just did not show no mercy and the schedule was so hectic and busy, visiting relatives and doing all those formalities! It was far more time consuming and expensive than anticipated. So, at last I need to make decision of short trip to Pokhara. We made a plan for 4 days. Kathmandu â€“ Pokhara â€“ Palpa â€“ Lumbini â€“ Chitwan – Kathmandu. So with this short listed places on our head we made our tank full and jet-off in search of natural pleasure. With every blow of air I thanked nature by blessing my country so much. Cool air blowing through, rivers and rivulets all over, huts and pure Nepali lifestyles added extra perfume of perfection that I was searching when I made my mind to go Nepal. This was my first trip ever. I never thought, riding bikes or even sitting as a pillion is a hard job when itâ€™s too long. 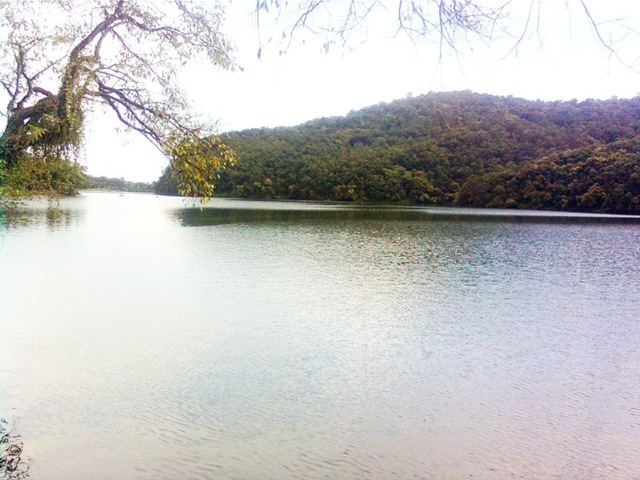 So, we decided to take rest and eat lunch in Malekhu with fish, which was also fun altogether. All I was doing was praising the charisma of nature. Halo shining through this pictures is a resemblance of excitement and pleasure to know the nature by so near. Overtaking is indeed a tough job to accomplish neatly. A small mistakeâ€™s outcome is so big that we all are well aware. Ainâ€™t it? 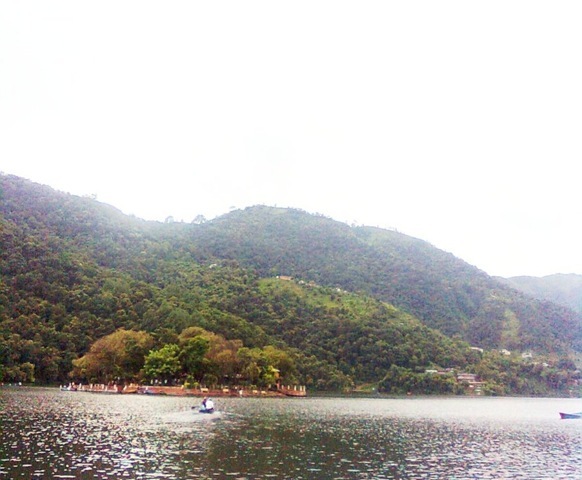 Finally, we reached Pokhara and decided to stay in lake-side for that night. Glad to see the beauty of over-hyped Fewa lake, clouds all around so no mountains. The panorama was so good that we almost forgot our friends. All were busy taking snaps in their own world of imagination and excitement. Some time later we accumulated and decided to get back. There we regretted of not having group pictures, blaming each other we reached hotels to get some sleep. Next morning we went to see Davis falls. Again it was so splendidly running looking at which I imagined how David actually fell here when there were no bars. It was another masterpiece or gift of nature. 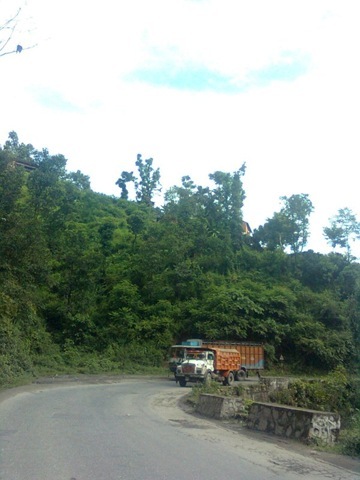 Then we set out for our next destination Palpa. Getting there was actual fun, back pain caused by riding bike was easily overcome by the pleasure of eye experiencing nature. I feel like I am in heaven when I was taking this picture. 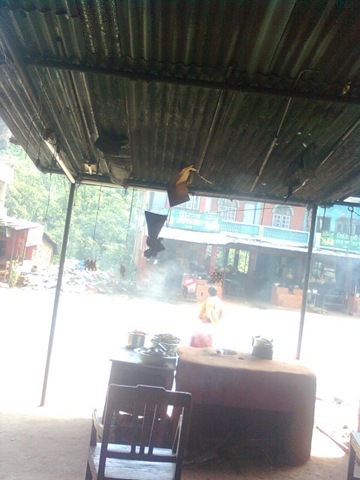 This entry was posted in Nepal and tagged chitwan, Kathmandu, Lumbini, Palpa, Pokhara, Travel. Bookmark the permalink. That was nice. I am also planing to Visit all over My Mother Land after i Finish my JOB. god bless ya all.